Generation Z made their presence known loud and clear by giving us some of the year's most inspired and intrepid music. Adolescence may be a confusing and angst-filled period for some, but music proved to be just the outlet many artists needed. Here are four teenage acts that lived up to the "age ain't nothing but a number" maxim this year. Back in the day, Dogstar, P and 30 Odd Foot of Grunts were the punchlines for jokes about actors-turned-musicians. Finn Wolfhard, however, proved music isn't just a hobby for him the way it was for Keanu, Johnny and Russell. 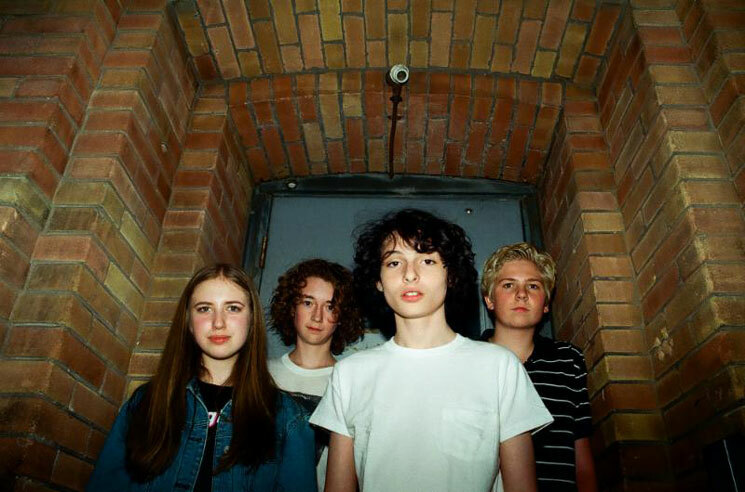 The star of It and Stranger Things put music first this year with his band, Vancouver's Calpurnia. They might all be teenagers (Wolfhard was born in 2002), but their debut EP, Scout, demonstrated some scrappy, garage-bred musical chops that loosely combined their love for '60s pop harmonies, jazzy time signatures and lo-fi aesthetics. Jenny Hollingworth and Rosa Walton have been BFFs since kindergarten, and bandmates since age 13, which might explain why they have such incredible synergy. On their sophomore album, I'm All Ears, the duo amped up their "experimental sludge pop" to new heights, infusing it with fantastical lyrics, sticky-sweet melodies and production built from industrial, new age and synth-pop influences. But really, what they're making is prog rock for the Z Generation: bold and bizarre music that navigates pop music's outer limits. At only 17, Toronto's Lil Berete spent the year establishing himself as the city's next great rapper. A product of the Regent Park housing project, Berete has taken his Southside to Northside collective global, signing to XL Recordings' New Gen imprint. On his succinct yet prodigious debut mixtape, Icebreaker, he takes nods from his biggest influences, Young Thug and Akon, cramming Auto-Tuned hooks into candid accounts of a neighbourhood plagued by gang violence. No musician depicted adolescence as accurately in 2018 as Lindsey Jordan. As Snail Mail, the Baltimore-based Jordan released her debut album, Lush, an intimate, coming-of-age tale wrapped in distortion-happy indie rock. Hers is a '90s throwback sound, but Jordan stood out by delivering some brutally honest testimony in a pained yet slumbered voice. The fact that she can also rip it up on guitar signalled her future as a guitar hero-in-the-making, following in the footsteps of her own heroes, Liz Phair and Mary Timony.